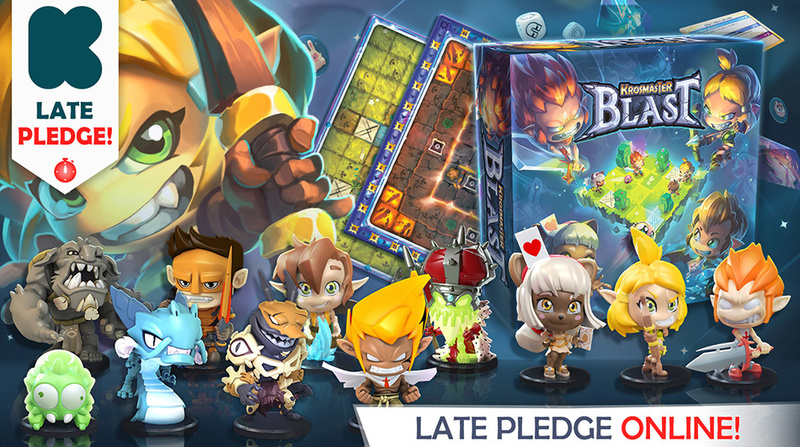 Krosmaster Blast: late pledges are available! - FORUM KROSMASTER : Forum dedicated to discussions about Krosmaster. Share all your opinions, ideas and tactical tips! PayPal payments are now available for the late pledges. is it possible to ad a payment option with paypal? Will these additional figures be included with the original 4 that come with this set as retail? Or only for the late pledge? I'm asking because I really want them, but I can't seem to purchase the late pledge. Also, when is this expected to be released and shipped to the late pledgers? While I can't speak for certain about the retail version currently, the late pledges will come with all unlocked stretch goals. The delivery is scheduled for the end of the year, and our late backers will be delivered at the same time as the Kickstarter backers. You said you couldn't purchase the late pledges: is there a technical difficulty that prevents from doing it? We may be able to help you. I'd like to know if this would be a good purchase. Could someone please answer my questions? The base set alone is an excellent deal. Just for the Krosmaster Arena part, you get 11 exclusive figurines plus a new map for 55€ plus shipping. On top of that you get a whole new game with several maps and game modes, and having tried it, i can say that this one won't be sitting on a shelf like Quest, it's actually very good. As for add-ons, well, it's up to you and what's missing in your collection. For the record, all Blast figurines come with Arena cards, right?